Dallas is one of 14 places throughout the country receiving grant support from the W. K. Kellogg Foundation to implement a local Truth, Racial Healing & Transformation (TRHT) effort across the city, which will be customized for Dallas with input and leadership from the local community. To create a radically inclusive city by addressing race and racism through narrative change, relationship building and equitable policies and practices. 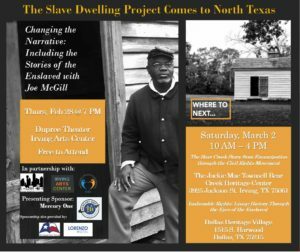 A Dallas where no North and South divisions exists in terms of race, wealth, arts, culture, health, safety, education and opportunity, and communities actively, honestly and openly acknowledge, repair and heal from its past and present racial inequities. Dallas TRHT will be broadly inclusive, nonpartisan and collaborative in nature, and will constantly add to the collection of people and organizations interested in contributing to improving Dallas for all of its residents, no matter what their race or background. To meet the Kellogg Foundation’s grant matching requirements, Dallas TRHT will need to raise an additional $1+ million in local funding. To date, Communities Foundation of Texas, Embrey Family Foundation, Lyda Hill Foundation and United Way of Dallas have provided initial contributions towards that goal. More contributions are needed.